The Bloomberg Dollar Index remains down from Friday’s lower close as markets digest optimistic Brexit headlines, easing US-China trade talks, and a cautious Fed outlook. The greenback is lower ahead of important economic data and earnings slated for this week. March retail sales scheduled for Thursday will be critical in guiding Q2 macro forecasts, with reports expected to show a rebound. The Fed’s Beige Book released this Wednesday could move markets as most districts reported slower activity in March. Pound sterling advances as large speculators and hedge funds trim short positions. The extension of the Brexit process to October has calmed immediate concerns of a no-deal EU exit. The UK Government and Labour party both said on Sunday that their talks represented the best chance of finding a Brexit solution. MP David Lidington said there was common ground between the two sides. 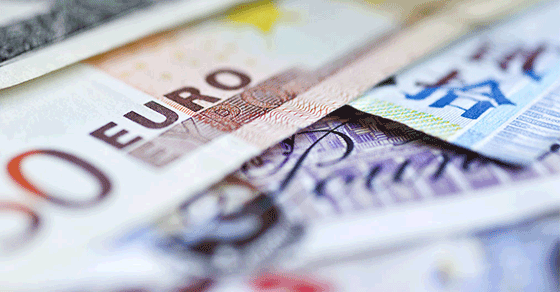 The euro records early gains after Bundesbank reported a moderate pick up in Q1 growth. Eurozone PMI data dropping later in the week is expected to push the common currency higher. Easing Brexit concerns have helped the euro recover from February lows. The loonie strengthens as this morning’s BoC Business Outlook Survey is expected to show modest economic growth. The abbreviated week also hosts March CPI data which is anticipated to pop almost 1% m/m. WTI trades lower despite oil prices surging 40% this year, making the Canadian dollar the second best performing G10 currency YTD. Chinese renminbi gains as officials consider a US request to shift tariffs of agricultural goods to other products in an effort to settle a trade deal. Markets will watch for China Q1 GDP and industrial output data to be released mid-week.